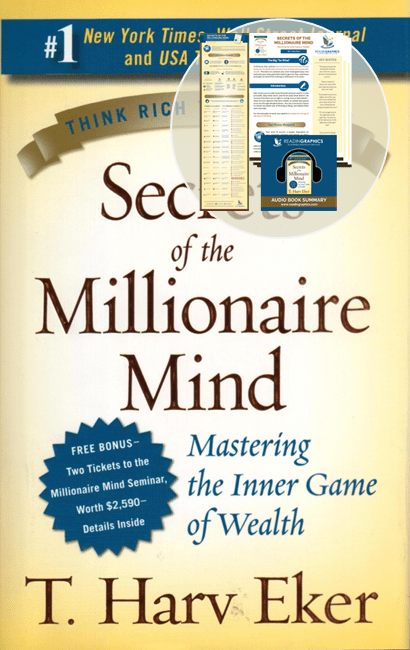 Reprogram your money blueprint to significantly increase your income and accumulate wealth! See more details below. 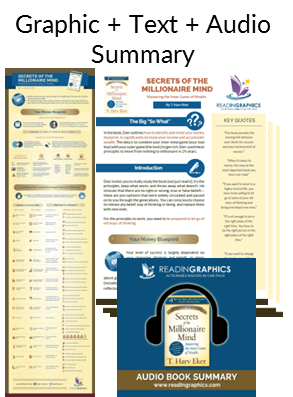 Download Secrets of the Millionaire Mind Summary in pdf infographic, text and audio formats, or preview the book summary via our blog. 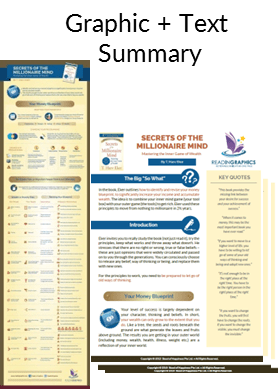 Reprogram your money blueprint to significantly increase your income and accumulate wealth! 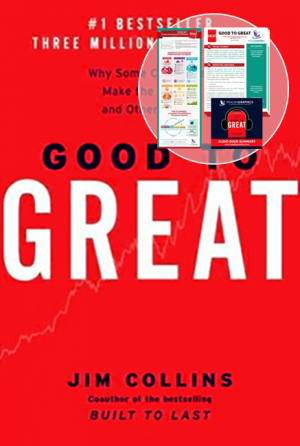 In this book, Eker outlines how to identify and revise your money blueprint, to significantly increase your income and accumulate wealth – Using these principles, Eker personally moved from nothing to millionaire in 2½ years. 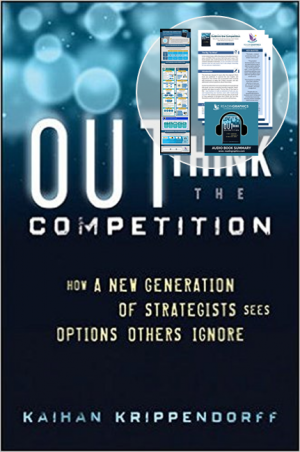 The idea is to combine your inner mind game (your tool box) with your outer game (the tools) to get rich. I seriously loved this book. 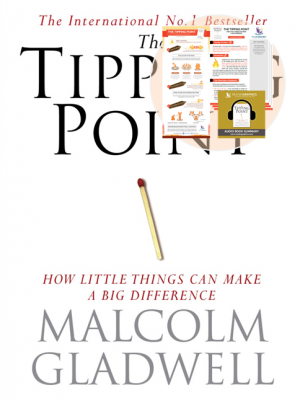 If you liked “Think and Grow Rich” or “Rich Dad, Poor Dad”, you probably will too. -there’s a good bit of promotion for Eker’s seminars. -there is a very black and white view of people (rich and poor). To be fair, though, Eker points out this himself, explains that he is using it as an illustrating tool, and (some people miss this) tries to help the reader understand that he is not talking about rich/poor people but rich-poor MINDSETS. -every chapter ends with affirmations…..I know that bugs some. 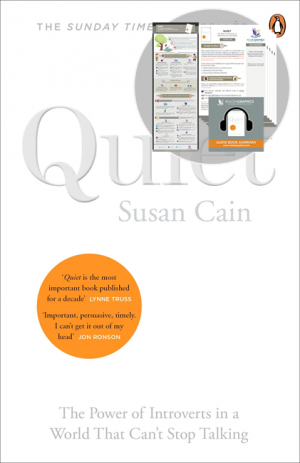 Initially I thought this was another book with positive thinking and self-help messages. And I must confess I didn’t like the typesetting and final art from the paperback edition, what kept me reading its first pages with lack of enthusiasm, but as I read through part one, and later on part two, I ended up completely changing my mind. 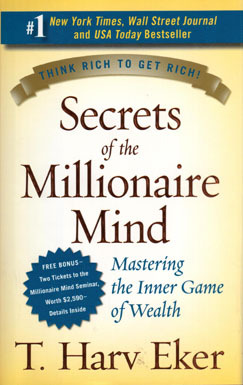 The author really did a great job on writing this book, putting together psychology, NLP techniques and some kabbalah teachings altogether to successfully discuss and transform ones daily mindset and habits into a millionaire mindset, as he defines it. His systematic approach on the book turns this whole experience educational and very practical. It was okay once u got over the blatant self marketing that went on all through the book. The principles were sound and I did pick up a few new things to ponder and take action on.